If you want to be a successful food truck owner, you need to be an all-star in so many different areas. You, of course, need to be an amazing chef who cooks up otherworldly foods, but you also have to be rather business savvy if you are going to stick out from the crowd. 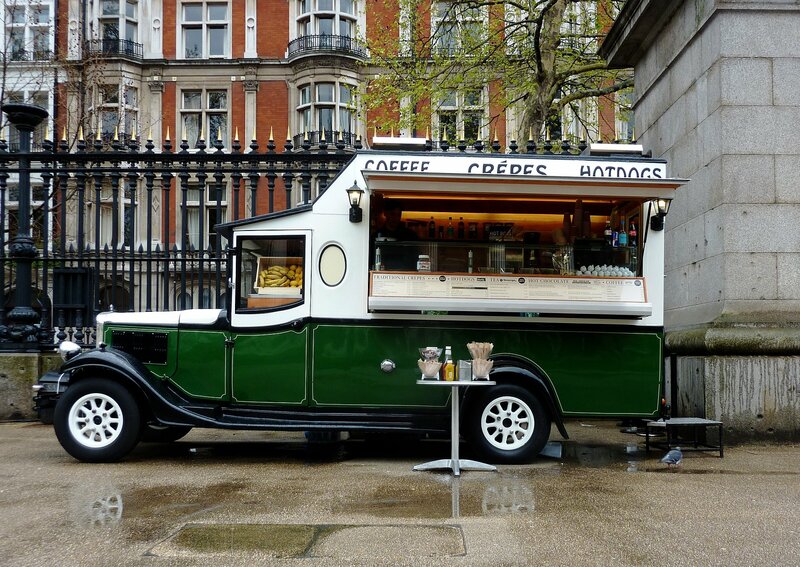 One area that might go under the radar in the food truck industry is customer service. Needless to say, food truck owners have to treat their customers like they are the most important people in the world — because they really are the most important people in the world. As a result, we have come up with five customer service tips for food truck owners, and they really need to take advantage of them. Your customers are the ones who are keeping you in business. After all, they are the ones who are venturing to your mobile kitchen and buying the product, which is the food. Treating every customer like he/she is your No. 1 customer is a great mentality to have. Nonetheless, make sure to follow these five customer service tips. You have heard it many times before, and you will likely hear it many times again, but the customer is always right. You have to have that mindset. If there is a problem with the food, an order is taking too long or whatever it might be, just accept that the customer is always right and try to fix the problem. That might mean giving the customer a free meal, or making it all over again (it just depends on the situation). The last person you want to get into an argument with is a customer, so push your ego to the side, listen to your customer, and once again, do everything in your power to make the situation better. Have you ever seen an employee arguing with a customer? It’s ugly, and it really looks bad for the business. So, once again, the customer is always right. Don’t just take the customer’s order, interact with the customer. Ask customers how their days are going, ask them if they have eaten at your truck before, recommend something on the menu for them, give them a free sample if they are on the fence about a certain meal, etc. The key here is to make your customers feel special. When they come to your food truck window, you should make them feel like you are buddies. It might sound silly, but that is how you take customer service to the next level. 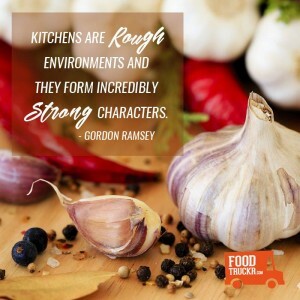 Here’s the deal: If your food is amazing and your customers love the experience that is going to your truck thanks to all-star customer service, then you are going to retain a ton of customers — and that should be one of the main goals. RELATED: 5 Unique Things Food Truck Business Owners Should Do Every Day. 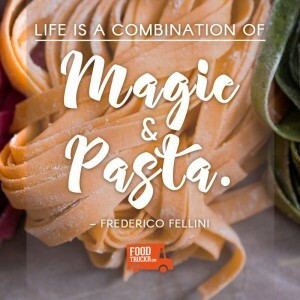 If you are looking to shake things up a bit, then make sure to do these five unique things every single day at your food truck business. This is such an important part of the process. A good strategy is to literally ask your customers for feedback. After all, these are the people who you are trying to please. If they give you good feedback, then keep doing what you are doing. However, if they have some complaints, then make adjustments so those complaints don’t become an issue for all of your food truck customers. The key here is to see what is working and what isn’t working. Also, if you are trying out a new food item, then ask your customers what they think of it. If they love it, then you know you can add it to the menu for good. Taking that a step further, you could give away free samples of this food before you even offer it. Not only will the customers enjoy the free sample, but you will enjoy the free feedback. Nonetheless, feedback from your customers is how you make your business better. There are a couple of ways to approach this. You could hire enthusiastic people who seem to always be in a good mood (you know, the extrovert type), or you could hire people who love everything about food and the food truck industry. In a perfect world, you will hire employees who are both an extrovert and love this industry. If you hire people who actually want to be there, then it is going to show in the cooking, the way the employees act and the way the employees treat the customers. Not to mention, they will love everything about their job, which will create an environment that everyone wants to be part of. Obviously, you aren’t going to hire a person who hates this industry or has a toxic personality, but it’s important to always keep this customer service tip in mind. RELATED: Wagner’s Pizza Bus Serves Up Amazing Pizzas In Fairbanks, Alaska Year-Round. Food truck stories are the best stories, and Wagner’s Pizza Bus has one heck of a story. Find out more by checking out this article. If you want to have the best customer service game in the business, then you have to take customer service skills to social media. How can you do that, one might be wondering? Well, you can respond to your followers, for starters. You can also ask them questions, do giveaways and make them feel special in general. Your followers will likely give you feedback as well via social media, and it’s crucial that you aren’t just shrugging off this feedback in the form of not responding. So, treat your customers right in person, and also treat them right online. Good customer service can take your food truck business to the next level by itself, so make sure you follow the five tips above starting … well, today!